Book your return journey bus ticket at lesser fare. You will get up to 20% off. 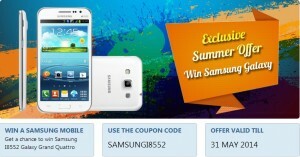 Book your bus ticket and get a chance to win Samsung I8552 Galaxy Grand Quattro. 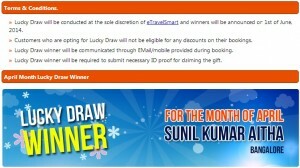 For This New Year eTravelSmart come up with special Deal on booking bus tickets online across India. 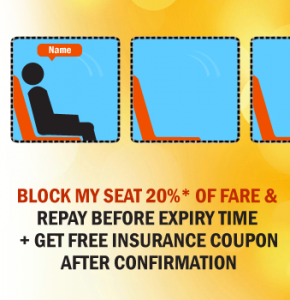 Passengers are able to book bus tickets by just paying minimal amount to total cost of bus ticket, i.e: By paying 20% to 30% of total cost to bus ticket price, passengers are able to book bus tickets without any issues. 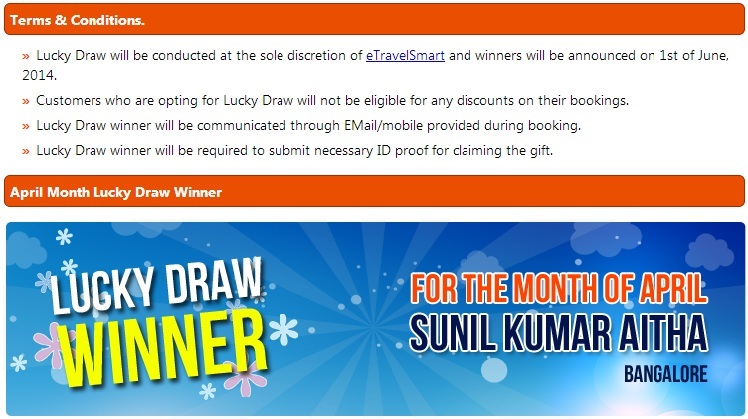 Remaining amount will be paid by eTravelSmart on behalf of passengers. Once initial payment is done, passengers are able to access their bus ticket as “Partially confirmed Bus Ticket”, as passengers paid only minimal amount. Even though passengers paid minimal amount, bus ticket will be confirmed from our end. Once passengers paid remaining amount, partial confirmed tickets going to convert into confirmed ticket. The remaining amount to be paid can be paid at any point of time before certain time to passenger’s date of journey. Passengers are going to get detailed SMS in every stage of advance bus ticket booking with eTravelSmart. 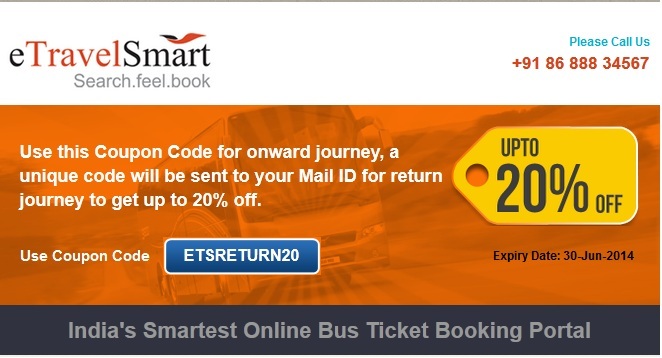 Our smart remainder SMS’s going to send you smart remainders about remaining amount to be paid to confirm your bus ticket. SVR Tours and Travel – Famous and well know travel operator across South and North India. SVR operating various bus classes across from South India to famous palces in North India. Svr operates various bus class like, A/C, Non A/C, Volvo, Benz, Multi axle, A/C sleeepr and many more. Safety is utmost prioriy in SVR Travels. Almost more than 400 + buses are running with SVR travels across India with more than 40 + famous bus routes. Quality, safety, Punctuality, bheaviour and many more are added to SVR tours and travels. 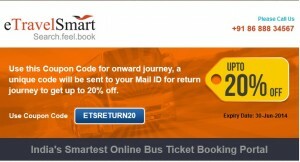 Booking bus tickets of SVR travels is so easy with eTravelsmart . You can great travel experience of SVR travels with eTravelsmart’s additional benfits like reward points, guarented discounts and many more. Visit eTravelSmart to avail discount bus tickets of SVR travels to travle across India with famous bus routes. Advance booking in eTravelsmart is industry first of its kind features in online bus booking. Customers can pay partial amount of ticket fare and book, ticket is confirmed upon full payment.